The Grayguns straight trigger for the SIG Sauer® P365 is a drop-in, bar-stock, enhanced trigger for your P365. Our P365ST Straight Trigger optimizes the length of pull and decreases excess over-travel, while keeping the toe of the trigger in the same location as the stock, curved trigger. The trigger breaks at 90 degrees giving the operator a clean index while providing a wider area of finger placement. Due to increased demand, limit one (1) trigger per customer. Backorders will be fulfilled in the order they are received as triggers become available. We expect the average wait time will be 25 to 45 days, with some orders shipped in as little as 14 days. Backorders should never take more than 75 days, a number we had to come up with to satisfy the pencil pushers. Place the order for the P365ST. Payment is due at the time of the order, and ensure you select the Free Shipping option during checkout. Backorders will be fulfilled as triggers become available each week, in the order they are received. Your order may only contain one P365ST trigger. You will not be able to add to your order, as the P365ST will ship to you for free. Please place a separate order if you’re ordering in-stock products. Continuing our pursuit of Innovation and Artistry, Grayguns introduces the P365ST Straight Trigger. Our team’s goal to optimize length of pull and reduce over travel, while keeping the toe of the trigger no more forward than the original starting position. We succeeded in that goal and more. This UpGray’d trigger now breaks at 90 degrees giving the operator a clean index while providing a wider area of finger placement. 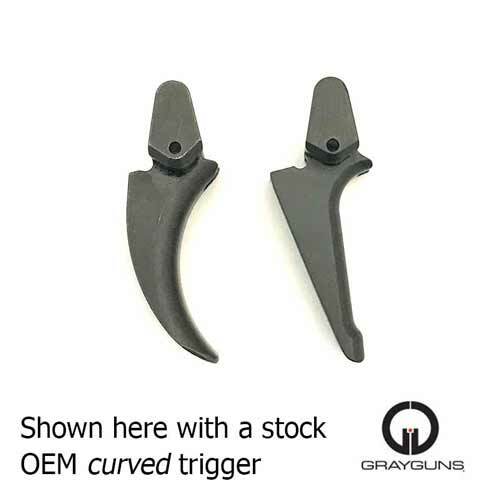 Made in the USA from solid bar-stock steel, this trigger is backed by the Grayguns lifetime warranty. The Grayguns P365ST Straight Trigger sets the standard by which all others are judged. These parts are intended for installation by a qualified armorer or gunsmith. In some cases professional fitting will be required by a trained, qualified armorer/gunsmith who is very familiar with the pistol’s action. This is due to the varying tolerances present in all mass-produced firearms. Although kits fit with no issues in a great majority of pistols, Grayguns is unable to guarantee perfect functionality in every instance. 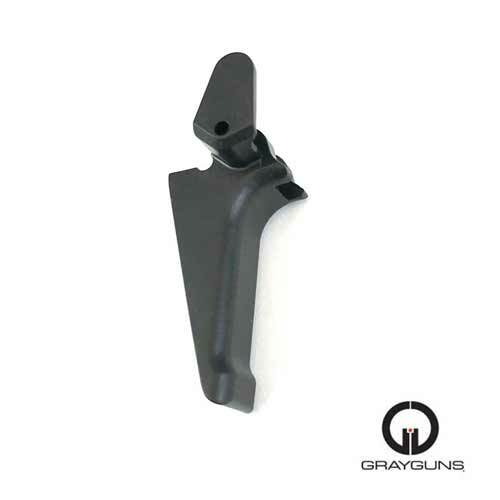 Grayguns does offer installation services for all parts kits we offer.